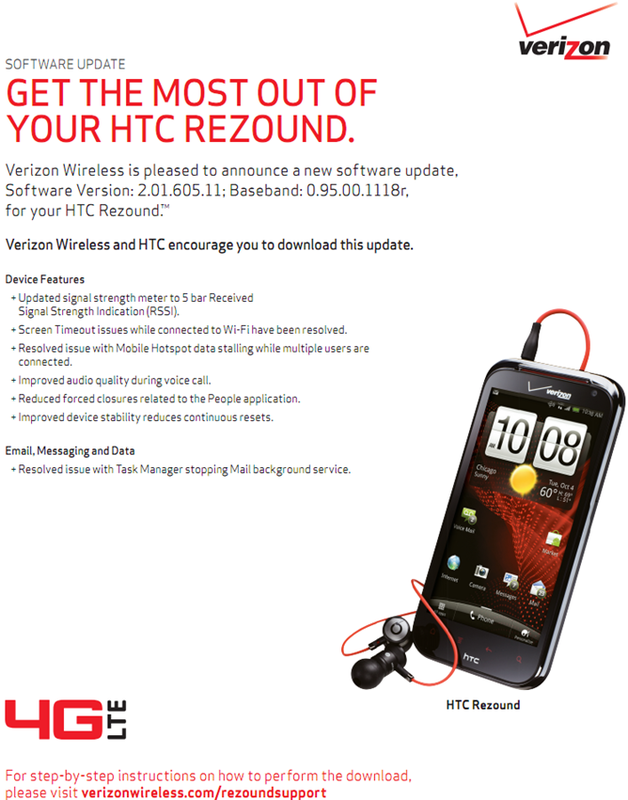 A software update for the HTC Rezound is coming soon, according to Verizon's support page for the device. Hoping it's the update Rezound owners have been waiting for - you know, the one to ICS? Sorry to burst your bubble, but there's nothing to it but minor bugfixes and changes. But hey, you can't complain about them fixing things in the interim, can you? The update bumps things up to version number 2.01.605.11 and baseband 0.95.00.1118r. + Screen Timeout issues while connected to Wi-Fi have been resolved. + Improved audio quality during voice call. + Reduced forced closures related to the People application. + Improved device stability reduces continuous resets. There's no word on when the update will roll out, but with the support page already updated to "Coming Soon!" it shouldn't be long.